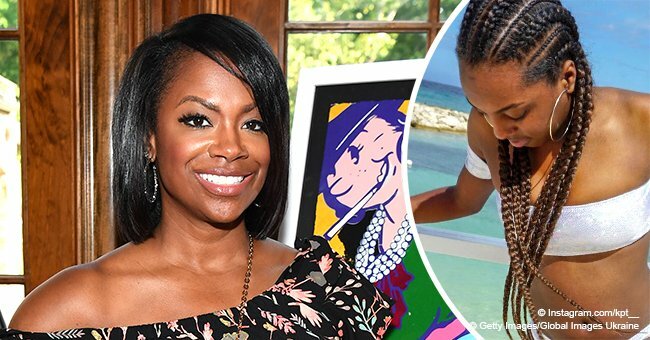 Kandi Burruss, best known for “The Real Housewives of Atlanta,” took to Instagram to share a slideshow of herself next to her daughters and people couldn’t help but comment on it. In the image, Kandi appeared wearing white shoes, tight light pink pants, a white top, and a denim jacket while side-hugging Riley Burruss and Kaela Tucker, her daughter and step-daughter respectively. Riley was wearing multicolored shoes, ripped denim shorts, and a grey hoodie. Kaela opted for black and white shoes, ripped blue jeans, and a black top. All three ladies were flashing their smiles at the camera. For the caption, Kandi wrote that even though she was always late, she had to post a photo with her girls on National Daughters Day, celebrated on September 25. The second picture of the slideshow portrayed Riley alone wearing a beautiful multicolored dress and thigh-high boots. In the third one, Kaela was shown wearing a white shirt and blue jeans. As soon as the TV personality uploaded that post, her followers took to the comment section to share their thoughts. 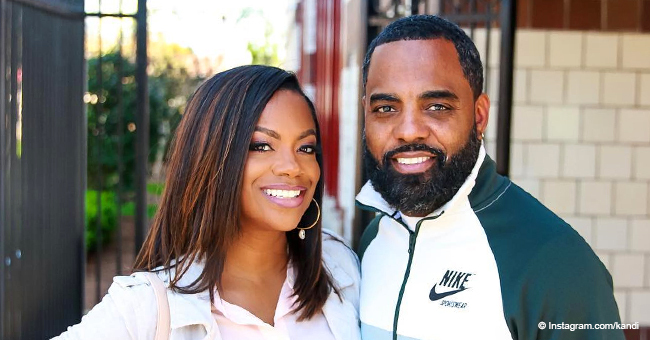 While most of them, including @ms.poo, praised Kandi for supporting her daughters some others complained about the photo of Kaela she chose. 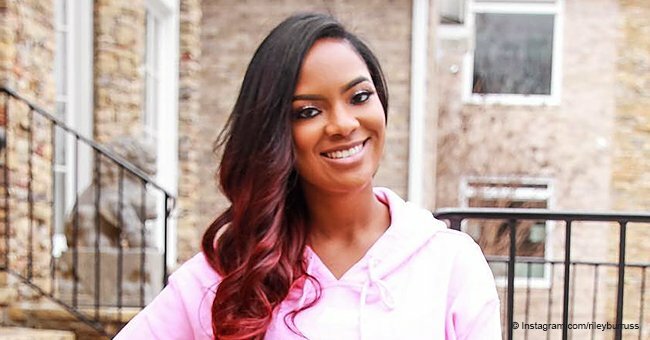 Some others, like @sexyborigua35, pointed out that Kandi could have picked a better photo of Kaela as the one she uploaded is not the most beautiful one. @scorpiochic10_30 chimed in and said that Kaela had better pictures on Instagram than the one Kandi used. One of her followers wondered where Kaela was and hoped that she didn’t feel left out when looking at that post. 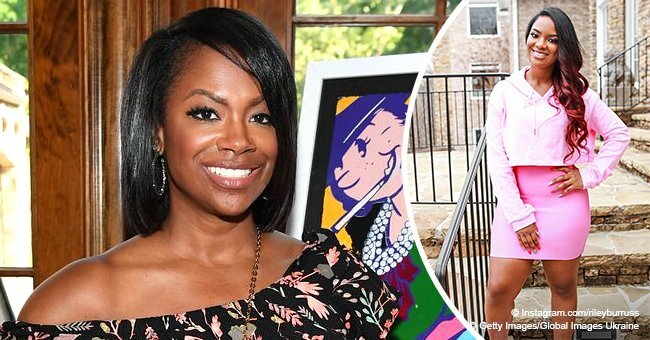 Kandi quickly replied and said that Kaela was visiting her mother in New York and that she hated when people “do that,” referring to making up stories without information. 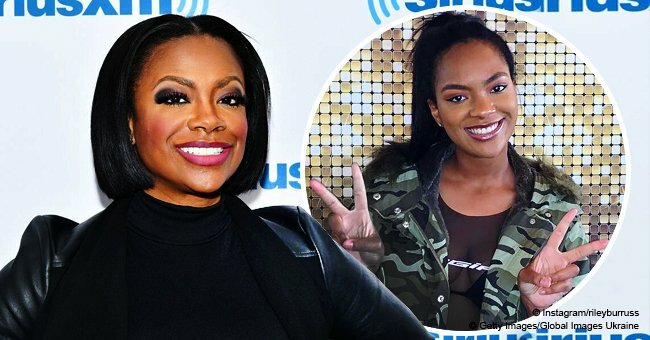 Months later, Kandi further proved her detractors wrong when Kaela penned her a beautiful note thanking her for taking her and Riley for a backstage photo with Beyoncé. “Just want to say Thank you to Kandi for taking me to the Wearable Art Gala. I appreciate you because this definitely was a learning experience for me and you didn’t have to take me,” admitted Kaela in a different post.